In the new context of 1947, the Soviet threat seemed even more real to Sweden which -although still neutral- tightened its relations with the West and NATO, although the country never joined the Atlantic organization. This neutrality was especially hard to maintain with such proximity to the USSR borders, especially in the Baltic. In fact, it would have been nearly impossible to Sweden to not take sides in case of an open war between the two supergiants due to this strategic and geographic position. The Swedish military was, therefore, more cautious to elaborate on scenarios of a Soviet invasion to model its ground, air and naval assets as a whole. Even though on a political side, this position was more nuanced and these realist ties were maintained in a high secrecy level. Its equipment was also from the western bloc -with a few exceptions- and therefore ammunitions standards, supplies and procedures were also NATO-oriented. One of the motives for such position was the alleged Soviet desire for a full military control and access to the North Atlantic, the cornerstone of the NATO defense, which necessarily passed through Scandinavia. The Pansarbandvagn 301 in Strängnäs. This APC was a clever 1960s recycling of the old M/41 chassis. In the 1960s the Swedish ground forces could count on a small, well-equipped professional core and a large conscript army. However, almost all tanks and armored cars still dated back then from ww2; Some, like the Terrangbil m/42D SKP was maintained into service until the 1990s while many old models were recycled or modernized. 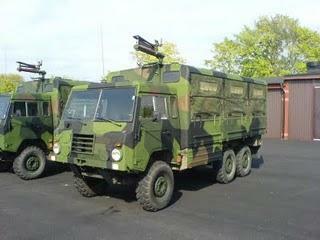 Two good examples of this were the Pansarbandvagn 301 (1961) and the Strv 74. The First was the first Swedish APC (Armoured Personnel Carrier), based on the m/41 chassis while the second was a complete overhaul and modernization of the Strv 42, standard Swedish medium tanks of ww2. 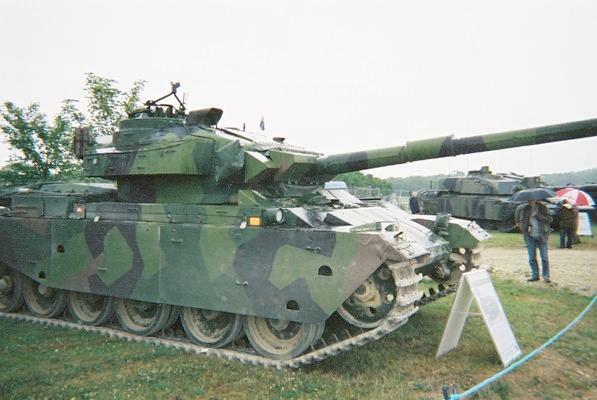 The Stridsvagn 104 MBT – Swedish Centurions, were the staple of the Swedish MBT force until their replacement in the 1980s by the Leopard 2. Strv 104 (late Centurion) kept at the Arsenalen, official Swedish tanks museum in Strängnäs. Notice the ERA blocks on the glacis plate. 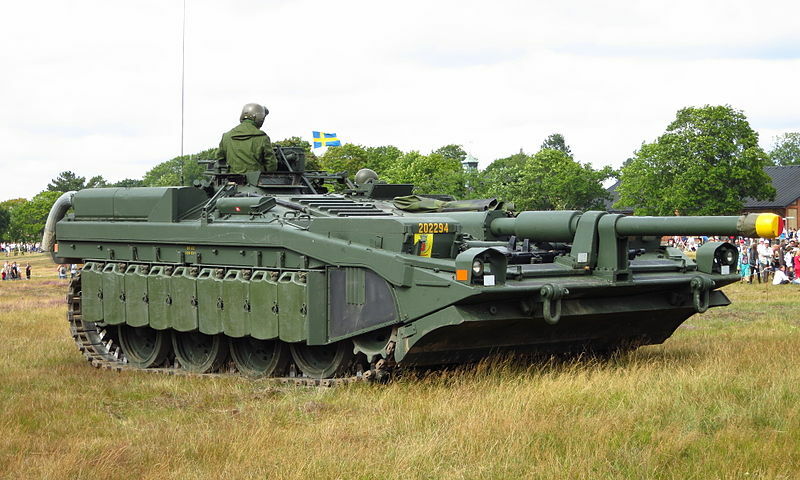 However, these were never really up to the task and in the meantime, two new assets entered service as the Backbone of the armoured forces of Sweden : The British-built Centurion, 350 in all from several variants, locally denominated Strv 81, 101, 101R, 102, 102R and 104; and the Swedish-built, very special Strv 103. The Stridvagn 103 or “S-Tank” one of the cornerstone of the Swedish defence in the 1970s. 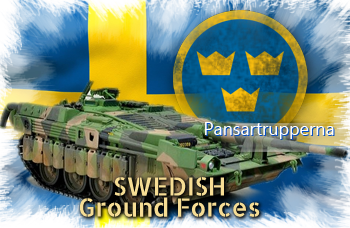 The latter, better known as the “S-tank”, was a marvel of Swedish ingenuity and a concentrate of innovations, meeting the Swedish operational conditions including the best use of the landscape in defensive tactics. It was a self-propelled gun, with an autoloader, a dozer blade, propelled by a turbine and suspended by active hydraulic units which directly participated to the elevation/depression of the gun, for a very optimized, unmatched hull-down position. 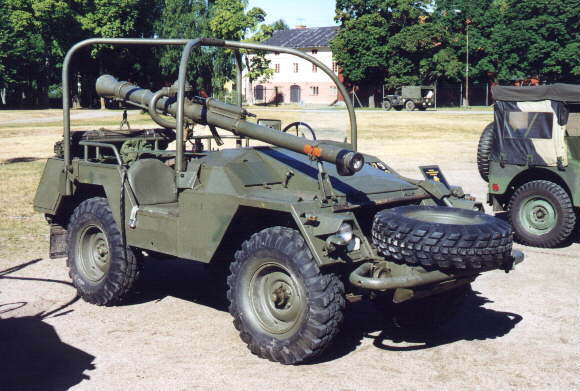 As said before, both vehicles relied on the NATO standard 105 mm, L7 gun. 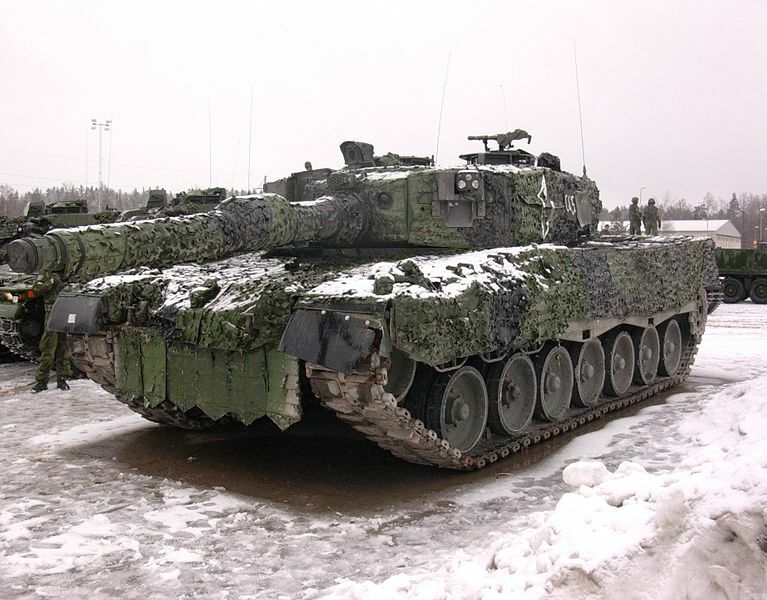 The Stridvagn 121, the Swedish version of the Leopard 2A4, in winter exercises. 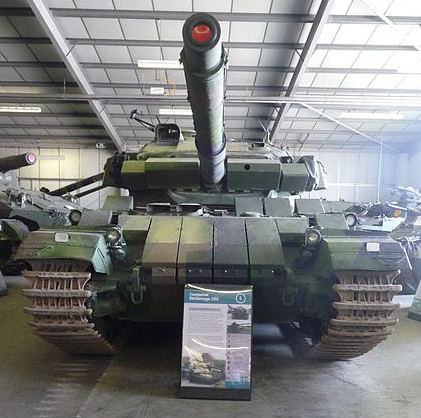 Due to its geographic particulars, Sweden long relied on a combination of strong coastal defence and a strong air force, but the land Forces received more attention in the early 1980s, with the introduction of the Leopard 2A4 (local designation Strv-121), replaced later by the Strv-122 or Leopard 2A5 of which 120 are now constituting the bulk of the Armoured forces, along with the Bgbv 120 armoured recovery vehicle and the Pionierpanzer 3 Kodiak Combat Engineering Vehicle. 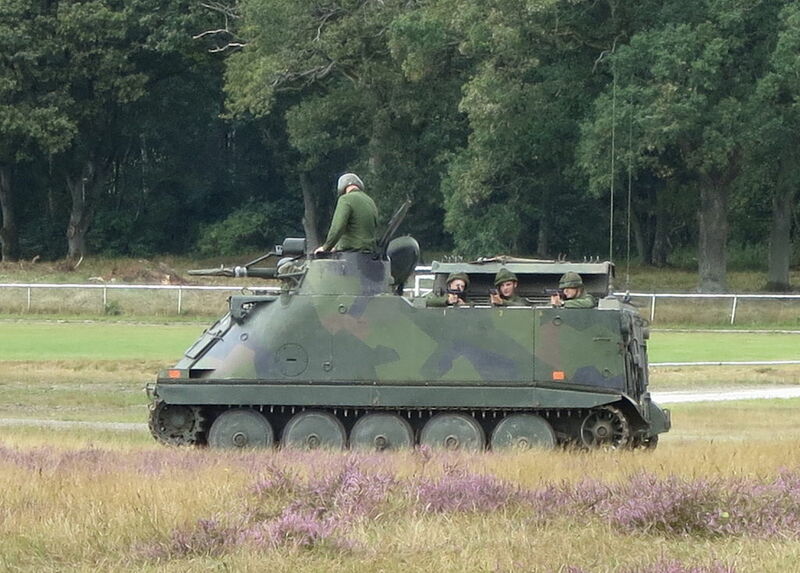 The 1970s Pansarsbandvagn 302 era APC were replaced recently by more modern AFVs and wheeled APCs like the Piranha III, but still, many are kept in second-line and reserve. Another interesting tank from the late 1970s and 1980s was the Infanterikanonvagn 91 which replaced previous tank hunters in service. It was a fast, sleek vehicle armed with a rapid-fire Bofors 90 mm cannon, of which 212 were delivered, retired from 1990 to 2002. 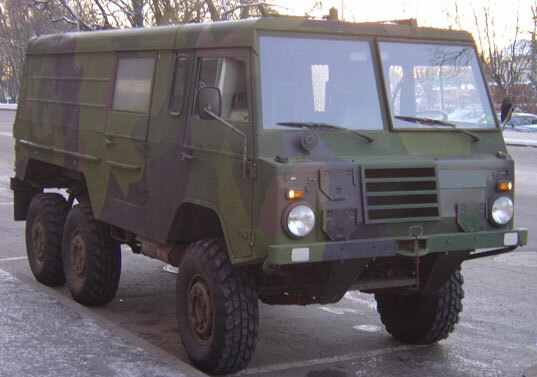 Less costly than this military hardware, Volvo produced thousands of 4×4 and 6×6 for the Swedish Army, declined into a multitude of variants. 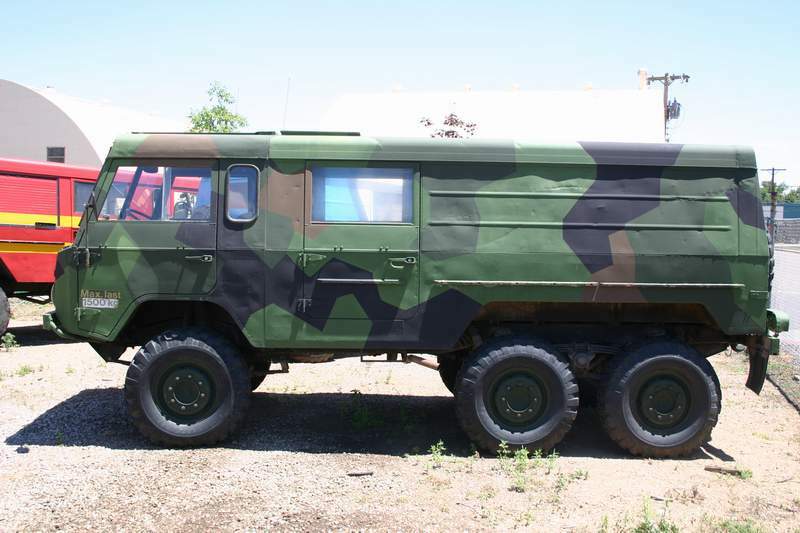 The 4×4 Pltgb 903 infantry truck, for example, had good off-road characteristics and was really the motorized do-it-all APC in the 1960-1970s, declined into communications vehicle, anti-tank vehicle and ATGM carrier. 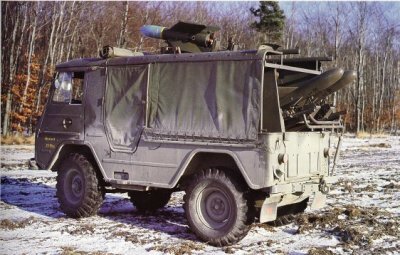 These were gradually replaced by the 6×6 versions derived from the Terrängbil 11, comprising infantry trucks, APCs, communications vehicles, ambulances, artillery spotters, and MANPADS carriers. 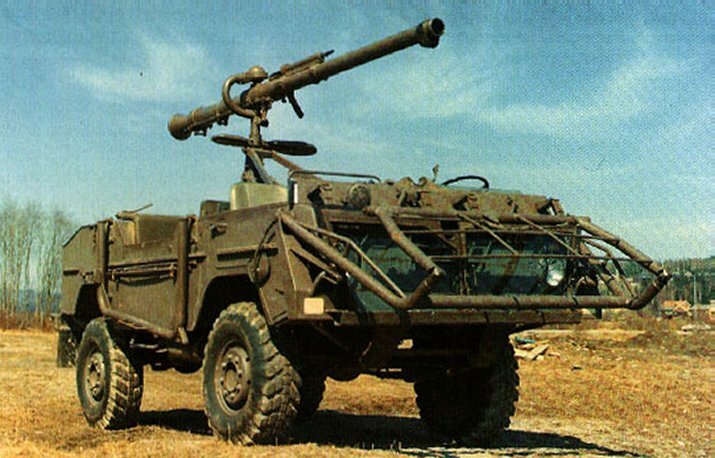 The light Tgb 1111 was an interesting “gun jeep”, a fast, cost-efficient and low-profile 4×4 armed with a 105 mm recoilless rifle. 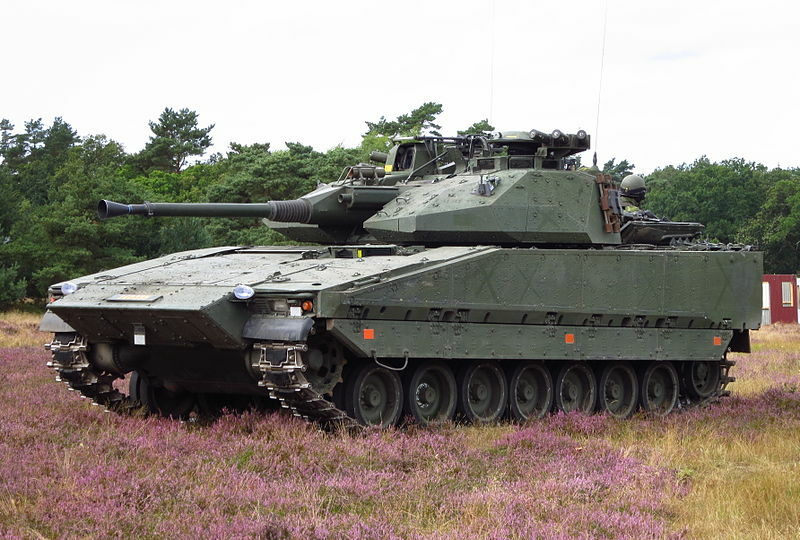 The Stridvagn 122, Sweden’s actual MBT (license-built from KMW with some modifications) -120 are currently in service. 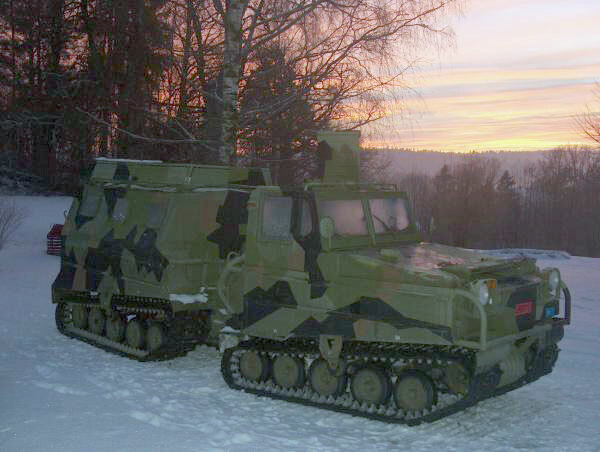 But the great overall specialty of the Swedish Armour was its numerous types of snow crawlers, articulated tracked vehicles, particularly suited for deep snow as specialized “winter APCs”. This comprised the 1964 Bv-202 (5000 built), the 1980 Bv-206 (4500 built) which replaced it (now around only 50 in service), as well as the Swedish/British BvS 10 or the Finnish-built Patgb XA180, both few in numbers. 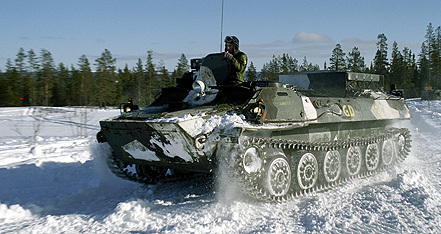 The formula was derived from usual snow crawler used in these latitudes or in high mountain, and usually contained the forward cabin, large enough for 5-6 and the rear payload tracked trailer and an articulated system in between. Like many other countries of the region, the end of the cold war signaled also large budget cuts in military spending, and Sweden was no exception. 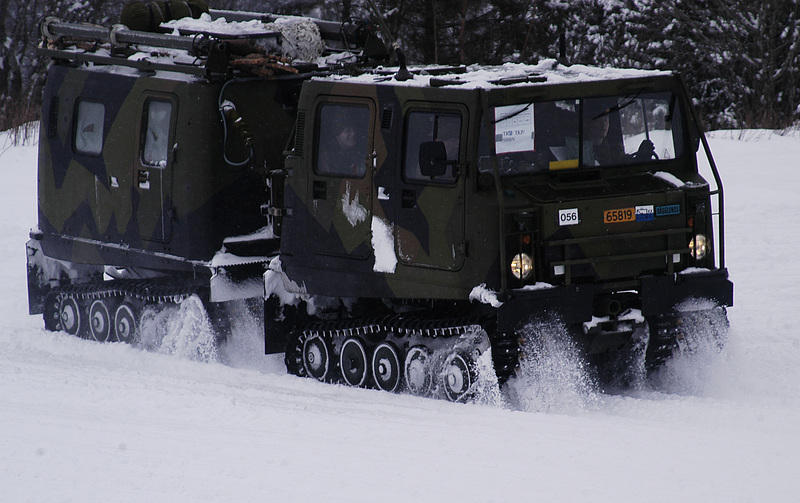 The Swedish army took part in several joint military exercises after the end of the cold war and is an active member of the Nordic Battle Group, a UE defense Battlegroup specialized in winter exercises, of which a first edition took place in 2008 and another in 2011. As of today, there are two regiments of infantry, the Life Guards (LG) stationed in Stockholm and the Norrbotten Regiment (I 19) stationed in Boden, one regiment and two battalions of cavalry (Life Hussars in Karlsborg and the Arméns Jägarbataljon in Arvidsjaur, the Stockholm Life Guards which also serves as MPs, one company of NBC warfare defence, the Armoured Corps or Pansartrupperna which counts three regiments of armoured/mechanized troops, at Skaraborg (Skövde), Revinge and Boden, one regiment of artillery in Boden, one regiment of anti-aircraft troops at Halmstad, one regiment of engineers at Eksjö (Gotland), a Signal Corps regiment and a Command and Control Regiment at Enköping, plus the Logistic Corps and Train Regiment in Skövde. Here is the repartition of the military regions, according to the Militärområde (Milo) in the 1990s-2000s. Infantry is equipped with various antitank weapons, the Grg m/48 recoilless rifle, the Pskott m/86 bazooka, the RB 57 AGM launcher, the fixed RBS 55/57 ATGW, and the RBS 70 MANPADS. Currently, there is no helicopter force dependant of the Army for AT warfare, only transport ones for the Air Force, and the multi-purpose JAS 39 Gripen can be used with a variety of AT weapons range. Due to its neutral position, the only interventions were limited to peace-keeping operations, which sometimes involved actual heavy fighting: In Congo in particular, during the Congo crisis of 1960–65, where the Swedish F 22 Kongo played its part, using Kp-Bils and Saab Tunnans against the rebel forces of Katanga. After the end of cold war, Swedish Soldiers showed their presence in Liberia, the Democratic Republic of the Congo, Sudan, Ethiopia, Eritrea, Lebanon, Bosnia, Kosovo, Afghanistan, Kashmir, and Korea. 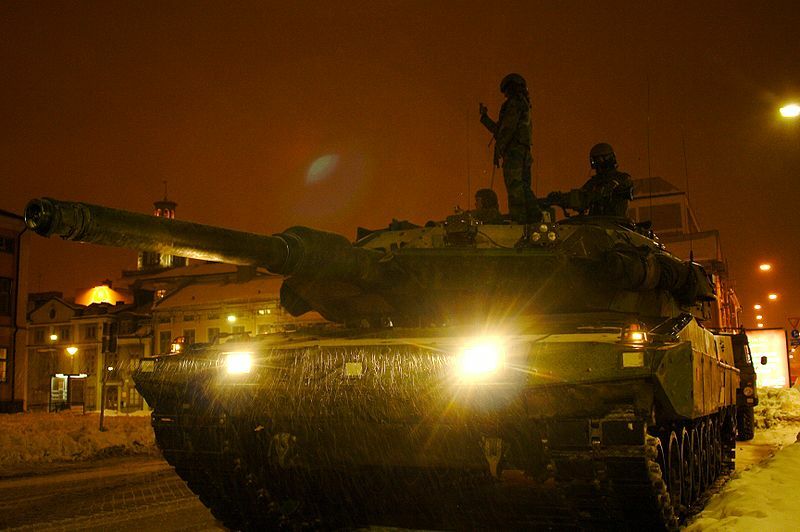 Swedish Strv 122, actual main battle tank – 120 are currently in service. 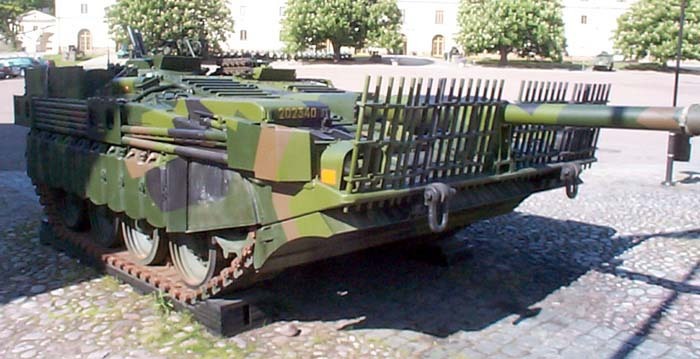 Stridsvagn 81, 101 or 101R, the early centurion in Swedish service. In total 350 were in service in the 1960-80s. Stridsvagn 103, or “S-tank”, the most remarkable Swedish tanks ever built. 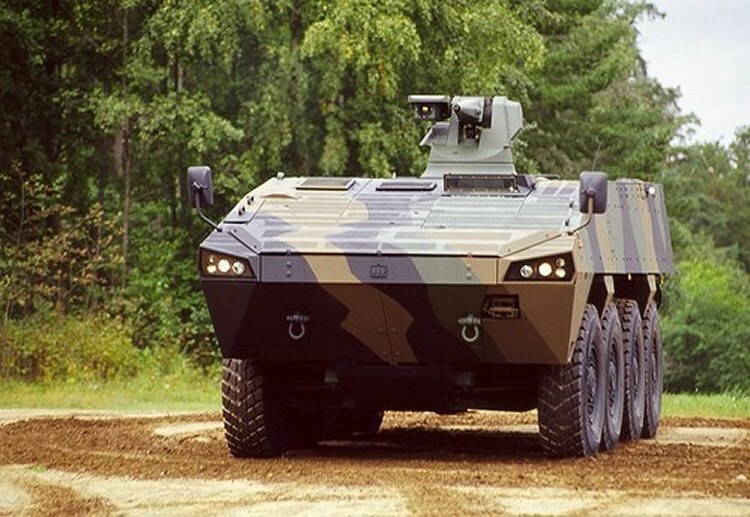 The BAE Systems Hägglunds AB Combat Vehicle 90 is a family of IFVs that forms the cornerstone of the Swedish Armour Force today. 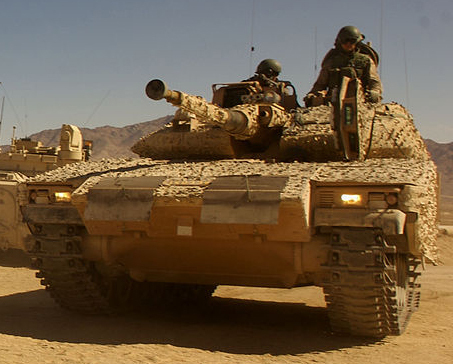 CV 90 training in California, prior to the Afghan Intervention. Infanterikanonvagn 91, light tank destroyer, another remarkable Swedish tank of the 1980s. RG-32 Scout MRAPS (derived from the SADF RG-32 Nyala) also used in Afghanistan. 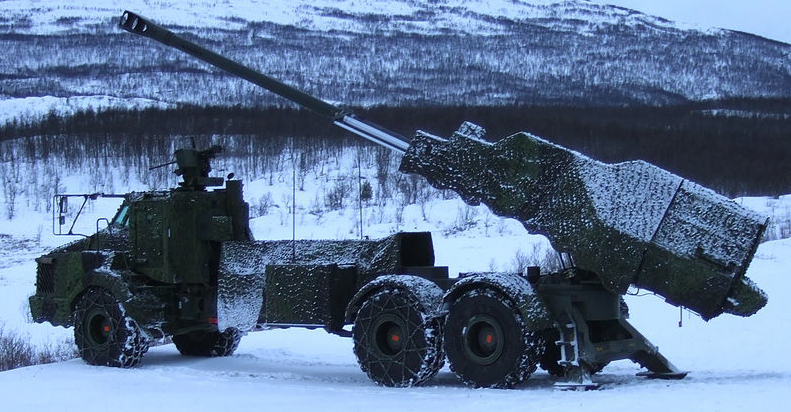 Archer heavy self-propelled artillery system in action. 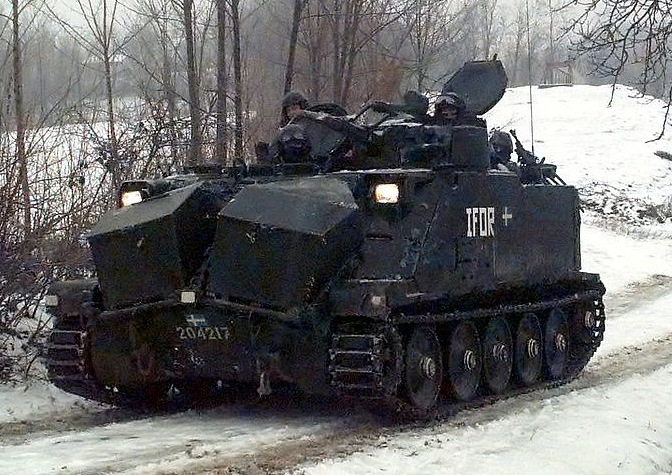 The Panzerhaubitze 2000 was also tested. The Bandkanon 1 155 mm tracked SPG. 26 were in service from 1967 to 2003. 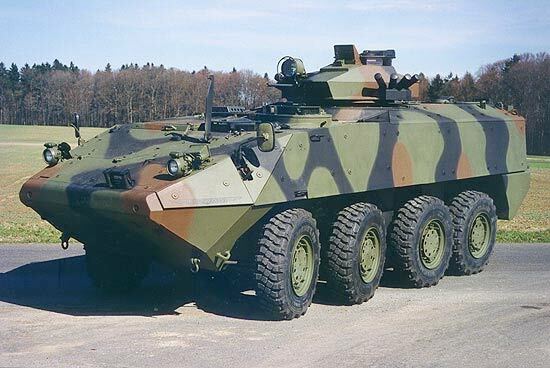 Hägglunds PBV 302 APC (over 650 built 1966-71) of which 50 are still in service today – here in Bosnia, 1996. now replaced by the CV 90. 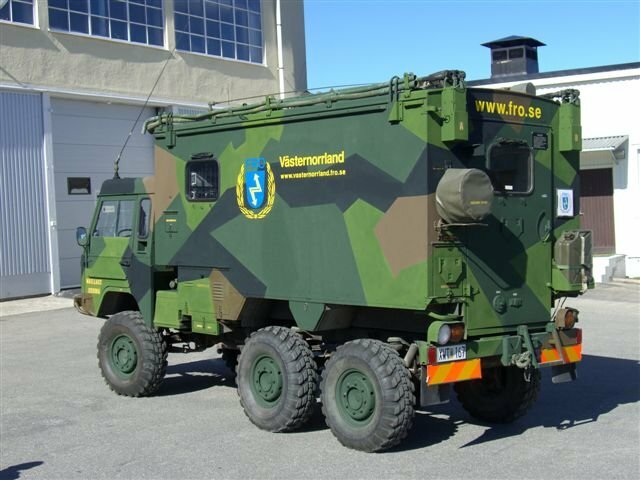 Swedish Piranha 3 wheeled APC. About 200 were in service (now retired). 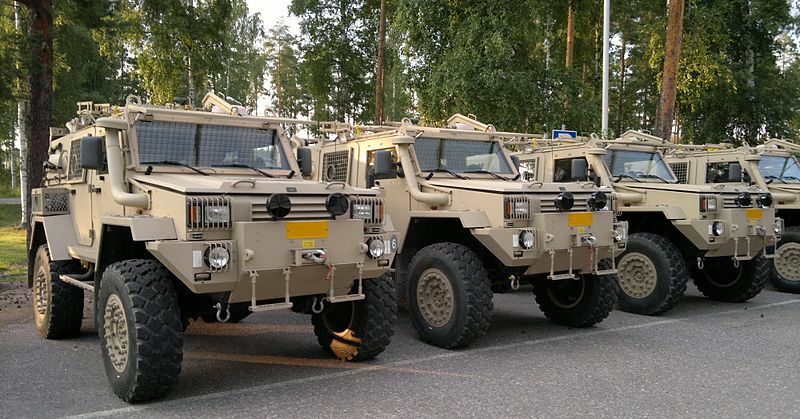 Patria AMV, a Finnish APC – about 183 in service. Pvb 401 in winter. About 460 MT-LBs were obtained in 1993 from the surplus of the Soviet Union, only 147 were retained in active service by 2011, sold to Finland. Along with these, 38 Pbv 4020 are kept in service, as well as 12 Stripbv 4021 Command vehicles, 10 Sjvpbv 4024 Medevacs and Pvrbbv 452 ATGM carrier.